Sega today released an update to its classic gaming title Sonic the Hedgehog. The update brings Apple TV support to the table, adding more value to the universal app. Those of you who’ve already purchased Sonic the Hedgehog on iOS will therefore be able to enjoy the game on the 4th generation Apple TV free of charge. Everyone else will need to pony up $2.99 for the privilege of playing the classic game, but your money goes a long way, as it’s playable on the iPad, iPhone, iPod touch, and Apple TV. I was able to spend a few minutes playing Sonic on the Apple TV, and the game is very true to form. If you grew up with a Sega Genesis/Mega Drive in your household, then you’ll know exactly what to expect. Sega has added some bonus feature to the table, such as the ability to choose between displaying EU, US, or JP box arts, a time attack mode, Game Center support, and other settings. At its root, though, it’s still the 16-bit Sonic the Hedgehog that we all know and love. Unlike some classic titles, which are updated to take advantage of modern hardware, Sonic the Hedgehog retains its 16-bit look and feel. Although it supports the Siri Remote, as per Apple rules, the game is without a doubt suited best for a third-party controller like the SteelSeries Nimbus. During my hands-on time, I didn’t even bother trying to play with the inferior control scheme offered by the Siri Remote. I suggest that you too invest in a Nimbus or other third-party controller if you wish to enjoy Sonic or any other traditional platformer the way it was meant to be played. One thing that disappointed me during my hands-on session with Sonic is that saves don’t appear to sync between platforms. For instance, the progress made on the Apple TV didn’t show up on the iOS version of the game, even though other games like Alto’s Adventure successfully do this. 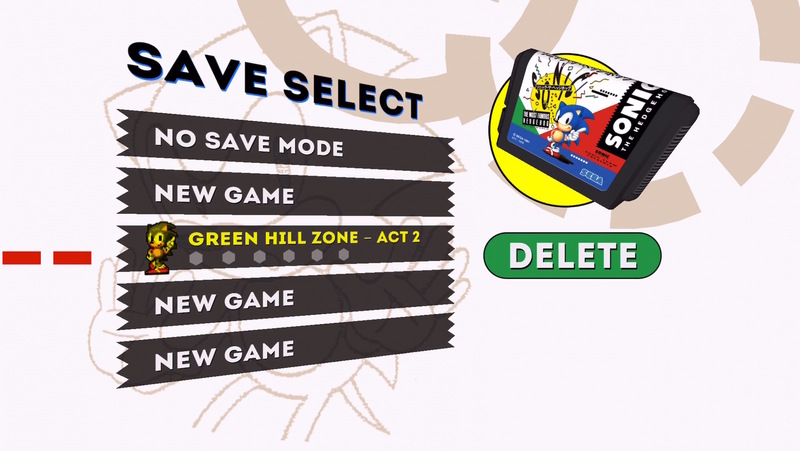 I suppose that Sega could opt to include the ability to sync saves in a future update, but as of now, that sticks out as a glaring flaw. All in all, Sonic the Hedgehog is a good value at $2.99. You get the game available on multiple platforms, and gameplay that’s true to Sonic Team and Yuji Naka’s original vision. Even better is the fact that Sonic 2 and Sonic CD will be making appearances on the Apple TV on the 24th and 31st of this month respectively. Just be sure to invest in a controller before playing.